Welcome to my blog! I’m excited to present Tessa Stockton’s new book Wind’s Aria. Book Summary: Elected as the Songstress, Aria takes her place on the sacred platform to sing before every dawn. As long as she does so, peace and abundant life belong to her people. One morning, amidst a strange wind that brings with it a curse in its eerie howl, Aria loses her ability to make music. But the encroaching death that transpires isn’t her biggest tragedy. It’s that she adores the cause of her blunder, for he’s a magnificent winged creature who’s stolen more than her voice. “Hum.” Unsatisfied with the answer, he tossed the apple to her and watched as she crunched her teeth into it. A veteran of the performing arts and worldwide missions, Tessa Stockton also contributed as a writer/editor for ministry publications, ghostwriter for political content, and she headed a column on the topic of forgiveness. Today she writes romance and intrigue novels in a variety of genres. 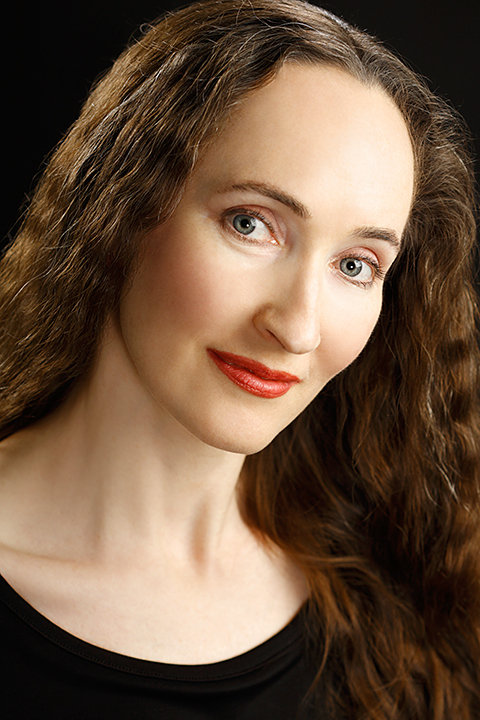 In addition to her fantasy romance, WIND’S ARIA, she’s the author of suspense/thriller, THE UNSPEAKABLE, political intrigue/romance, THE UNFORGIVABLE, and a literary short story, LOVE AND LULL, with more in the works. You can find out more about Tessa and her other books at www.TessaStockton.com , tweet her at https://twitter.com/TessaStockton or friend her on Facebook at https://www.facebook.com/tessastockton. Chance to Win! Tessa will be awarding a $50 Amazon GC to a randomly drawn commenter during this tour and her book blast tour. The more you comment, the better your chances of winning. Click on the link below for more chances to WIN. My Review: Aria’s people “looked to her for the favorable blessings of the Sacred Flower. She was the Songstress, the chosen communicator of the Sacred One.” Every morning she would make the trek to perform her duty for the people, but one morning she was distracted by another force which caused the sun to disappear and her people to despair. The force was a magnificent winged creature doing the work of the ill-fated, but who was falling in love with Aria. Will they be able to beat the forces that keep them apart? Ms. Stockton’s fantasy is refreshing and I enjoyed the sweet romance between the characters. This is a story that makes you want to read more to see how it ends. Thank you to Ms. Stockton and Goddess Fish Promotions for giving me the opportunity to host and review Wind’s Aria. A really lovely review. Sounds like a fantasy love story. 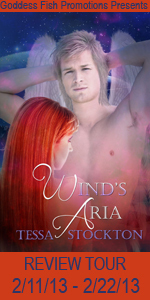 Sharon, thank you for the guest spot on your blog, for taking the time to read Wind’s Aria, and for your review. I love that you’ve described the story as “refreshing.” Makes this author’s heart warm. Thank you so much! I found your prose very poetic and a joy to read. I’m looking forward to reading your other novels. Good luck with the rest of your tour! This book will go on my TBB list. The writing sounds so lyrical from the reviews. Running away with my imagination and not having any “rules” to have to break. That’s what I love most about fantasy. : ) Thanks for asking, Ami. Thanks for the review and excerpt. I keep thinking what a huge responsibility Aria had.